Mid Century Ranch built by Cox on Chris Gilgian's original (Chris Town) Farm Land. 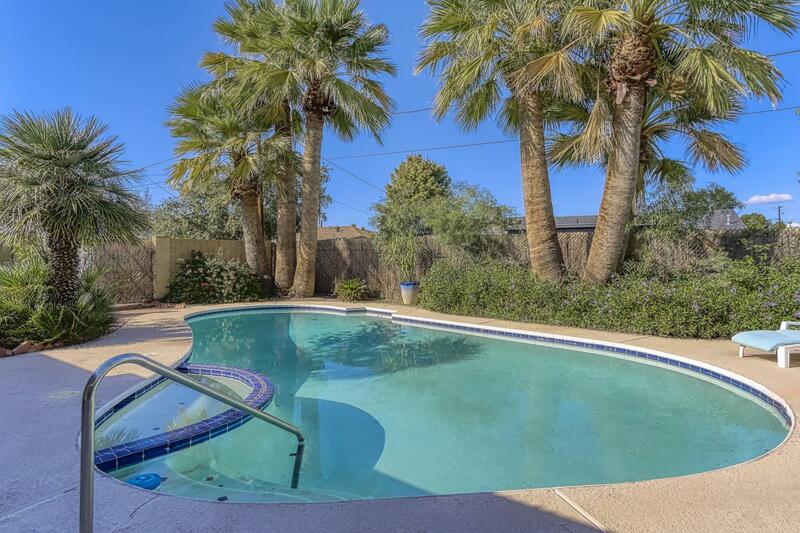 Lushly landscaped yard with Pool and Spa, Double Carport (potential garage? 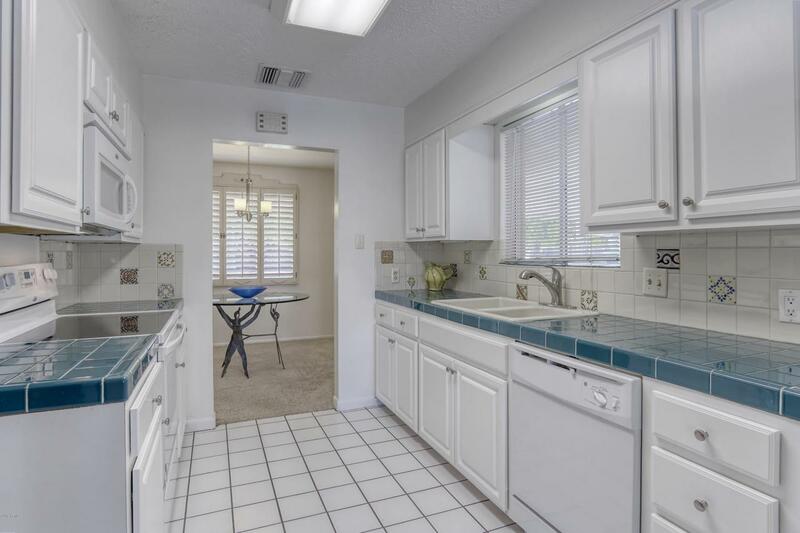 ), RV gate and parking with alley access, Extra Large Laundry/Shop or Craft Room, Brick Fireplace, Family Room, Traditional Kitchen and Baths with updated ceramic tile counters, back splash, shower and tub surround. 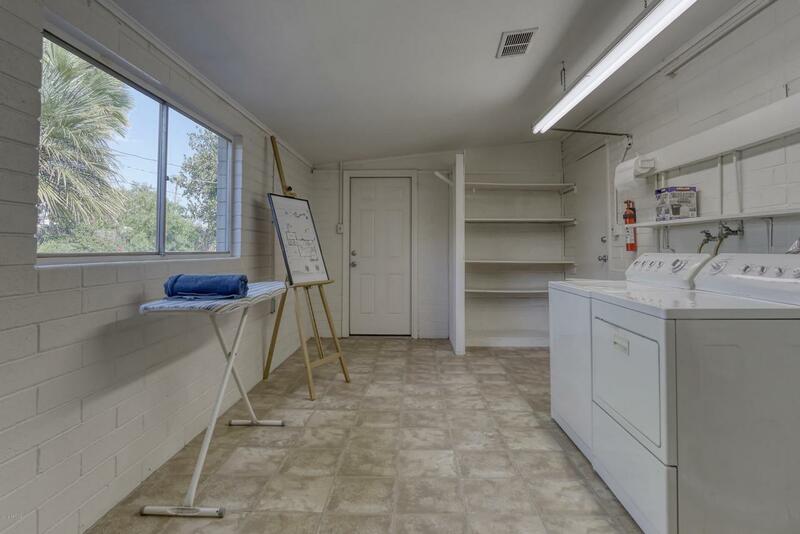 Gas Barbecue, Storage Shed, and Covered Patio. SRP Electric Service! 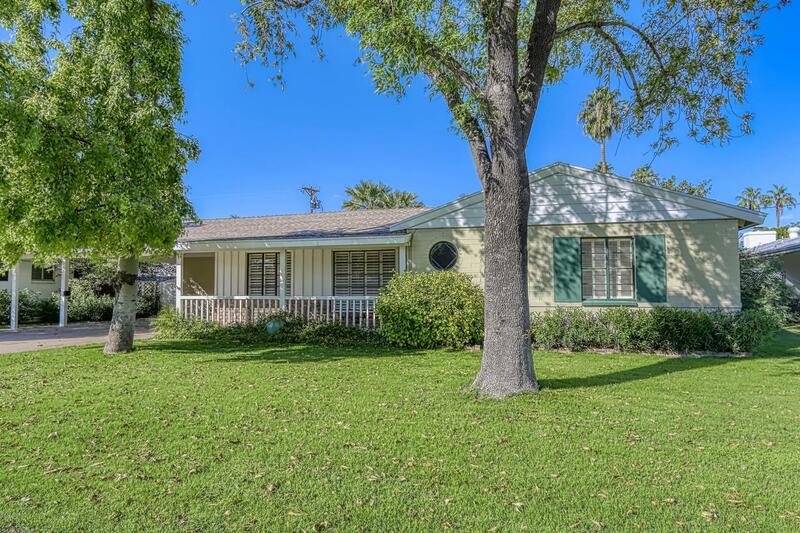 Close to Melrose, the Spectrum (Chris Town), and an abundant amount of shopping and restaurants in all directions. Walk to Starbucks! SEE FLOOR PLAN AND OPTIONAL FLOOR PLAN IN DOCUMENT TAB! Use EXISTING 200+ foot block constructed bonus room and create a 3 BEDROOM 3 BATH home with Great Room concept. Pasadena Neighborhood Association! NO fees!